‘…You put the ‘Happy’ in ‘Happy Hour!’…. Hi everyone! I hope you are having a good week? Today is a flying visit from me with this card that I have made for the Midweek Inspiration post on the From the Heart Stamps blog. This is from my parents to my brother who’s birthday is tomorrow. 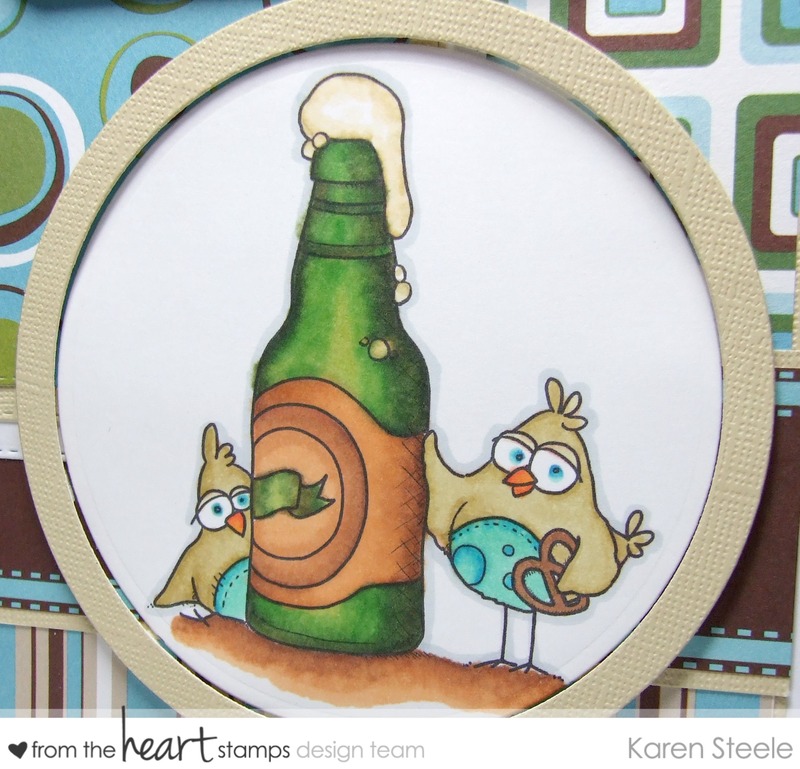 This image is called Birdbrain Brew and comes with 3 sentiments. Why not pop over to the blog to see what the design team have come up with for you today? I have also used papers from DCWV – The Retro Stack, dies from Spellbinders, Kaisercraft and Memory Box and Spectrum Noirs to colour. 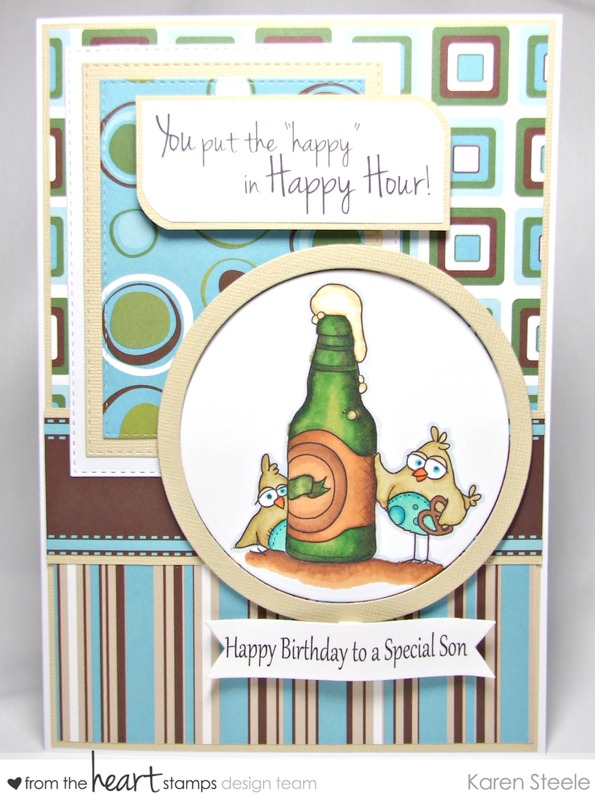 Love that color combo – this a great guys card! Oh this is so awesome, Karen!! Love, love, love that image and your coloring!!!! This paper is perfect for a guy card! Your coloring is amazing!